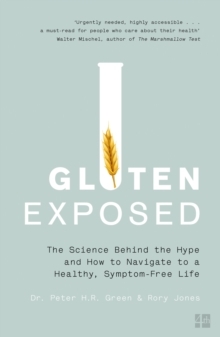 From the internationally renowned expert on celiac disease and director of the Celiac Disease Center at Columbia University, here is the definitive book on gluten, uncovering the truth and explaining the science behind the current gluten-free craze. Thousands of people have adopted a gluten-free lifestyle, believing it's healthier, that it will help them lose weight or increase their energy. The diet, a regimen once followed only by those diagnosed with coeliac disease (a serious autoimmune disorder), has become a cure-all, `prescribed' not only by gastroenterologists, but also by nutritionists, trainers, psychiatrists, as well as celebrities. Gluten Exposed reveals:* How little scientific evidence there is to justify this trend. The latest medical findings have shown that the majority of the information available about the effect of gluten on the body is only partly correct, or almost wholly untrue. * How the gluten-free diet is a lifesaver for those with coeliac disease, but for others it may injure their health, rob them of essential nutrients, and mask their real problems. 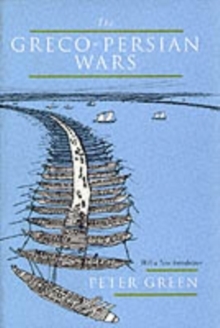 * A practical, clear roadmap that can help anyone achieve a healthier, symptom-free life. 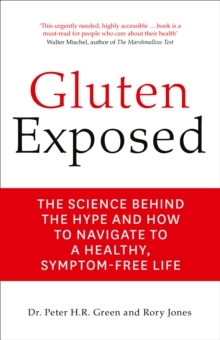 Gluten Exposed provides an in-depth examination of every symptom and condition associated with gluten, how gluten works in the body, what the gluten-free diet cures-and what it doesn't.